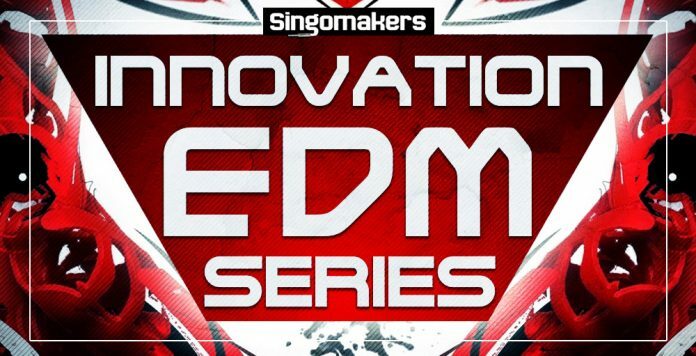 “Innovative Series” is a brand new line of sample packs from Singomakers. In this Innovative Series you will find Unique samples for well know genres created by the best of our sound engineers in a new Innovative ways with some fresh and creative touch for any genre from EDM, Trap, House to Techno, Dubstep, Drum & Bass and more. So if you want to refresh your tracks with some new unique ideas, this outstanding collection is the right ONE! This pack contains 1 GB of wav 24 bit samples at 128 BPM, suitable for EDM, Progressive House, Big Room, Electro House, including 170 One Shots, 30 Bass Loops, 40 Drop Synth Loops, 30 Melody Loops, 50 Drum Loops, 50 FX, 20 Drum Fills, 100 Midi Files, 170 Rex2 Files, 7 Sampler Patches, 20 Vocal Shouts, 20 VST Synth Patches (10 Massive / 10 Sylenth) and unlimited inspiration! This pack is a great tool too start your next track same as an ultimate tool if you want to add something extra spicy to your already finished project! Inspired by artists like KSHMR, Hardwell, Tujamo, Martin Garrix, W&W, Axwell, Ingrosso, Tiesto, Sander van Doorn, Ummet Ozcan, VINAI, Don Diablo, Laidback Luke, Tommy Trash, Showtek, Fedde Le Grand and a lot more! If you take inspiration from music of labels like Revealed, Spinnin, Doorn, Atlantic, Armada, Protocol, Axtone, Wall this sample collection is for you!